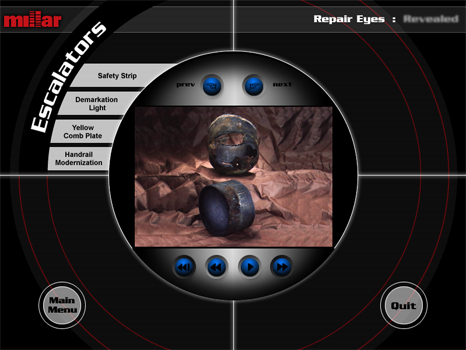 Millar Elevator Company contracted Pinnacle Interactive to video shoot and design an interactive CD-ROM sales training tool. 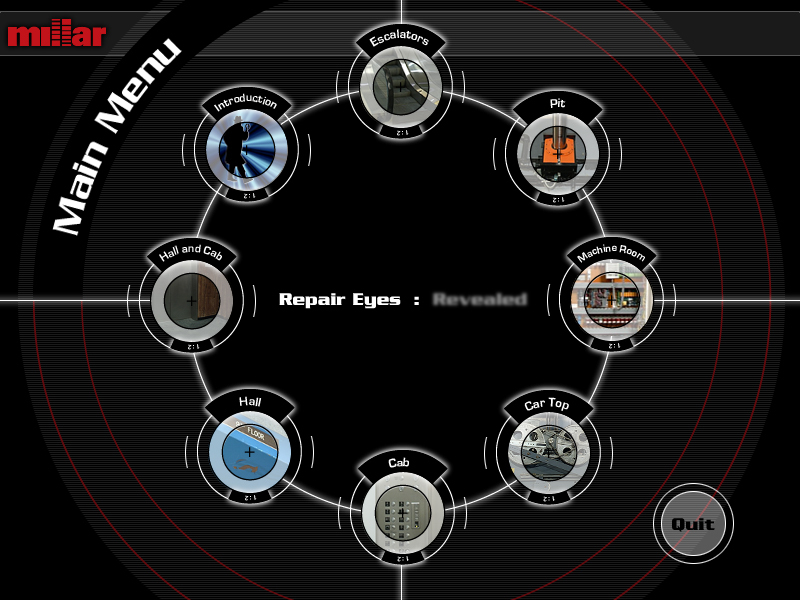 Repair Eyes taught the sales crew what to look for when going into a customer’s jobsite. The theme for the program was in the “Unsolved Mysteries” style, to give the subject matter some more pizzazz.